"It is doubtful that there was such a clear confrontation between the Chief of Staff and the Defense Minister in the history of the state, and on such an important issue as the purity of arms and the values of the IDF." 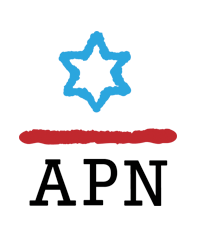 Three men topped today’s news in the Hebrew newspapers: President Reuven Rivlin, who was attacked on social media networks by the right-wing for rejecting the pardon request of soldier Elor Azaria (who extrajudicially killed an already injured and prone Palestinian assailant), Prime Minister Binyamin Netanyahu, who was interrogated for a sixth time for four hours as police tried to ascertain whether he promoted Arnon Milchan’s business interests in exchange for lavish gifts for his family (his wife, Sara, reportedly told police she never asked for the champagne, and his cousin and personal lawyer, David Shimron, reportedly refused a police offer to become a state witness) and police advisor Lior Horev, who resigned and in a letter accused Netanyahu and his administration of trying to restrict the freedom and power of the police. Horev has been “butting heads" with Netanyahu and his administration over the criminal investigations against Netanyahu. In diplomacy, Energy Minister Steinitz told Army Radio that Israel has had covert contacts with Saudi Arabia amid common concerns over Iran and Netanyahu told his cabinet that he 'doesn't see anything concrete' in Trump’s reported peace plan, but that in any case, Israel's security interests will be the deciding factor. Leader of Israel's Labor Party is seriously damaging the left (Rami Livni, Haaretz+) Anyone who questions the validity of the Jewish narrative of the Israeli left doesn’t understand anything about the political history of the Jewish people and the State of Israel. *His short fuse jumped: Lieberman behaved like a politician in the Azaria affair and not as defense minister (Yossi Melman, Maariv) It is doubtful that there was such a clear confrontation between the chief of staff and the defense minister in the history of the state, and on such an important issue as the purity of arms and the values of the IDF. Lieberman lost in all respects…If Lieberman were to show responsibility, and had he understood that his interest as defense minister is to bring down this sad affair, which is rupturing Israeli society because of unprecedented political involvement on the right-wing, he would have issued a completely different message. 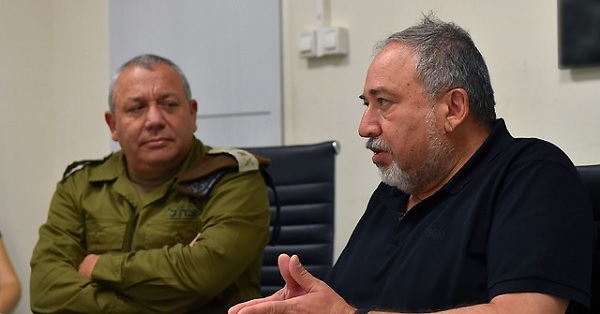 In such a statement, he was expected to express his support and appreciation for the president, who takes into consideration the position of the chief of staff and calls for an end to the issue that does not contribute, neither to the IDF nor to society, and ultimately not to Lieberman. Congratulations, Another Arab Ghetto in Israel Is Born (Odeh Bisharat, Haaretz+) After 70 years, the state is building its first Arab city, whose population density will be 1.5 times that of claustrophobic Tel Aviv. IDF chief’s Saudi interview: A gesture from Riyadh (Alex Fishman, Yedioth/Ynet) The rare and unusual interview Gadi Eisenkot gave a Saudi news website was part of an ongoing process to prepare the Saudi public opinion for bringing the secret relations between Israel and Saudi Arabia out into the open by stressing the interests shared by the two countries, including security cooperation. Netanyahu's Unforgivable Scuffle With Liberal American Jews (Chemi Shalev, Haaretz+) Lack of outrage at the manhandling of Reform leader Rick Jacobs at the Western Wall shows how quickly one gets used to an ongoing disaster. There is a limit: It is quite possible that Avi Gabbay reached the maximum point to which the Labor party could be stretched (Dr. Revital Amiran, Maariv) It seems that the party chairman is also beginning to understand that this is the stage to keep the borders of the camp on the left, just before the number of voters from the Labor Party abandoning it will be too large. Israel must reexamine why northern Samaria was included in the 2005 disengagement (Moshe Arens, Haaretz+) What rationale or logic caused Ariel Sharon, the architect and patron of much of the Israeli settlements beyond the 1949 armistice lines, to reverse course and decide on the disengagement plan? The strategic interests behind Eisenkot’s Saudi interview (Ron Ben-Yishai, Ynet) The IDF chief of staff’s rare interview to a Saudi news website strengthens and confirms Saudi Arabia’s claims against Iran. Israel’s interests are both security-related and diplomatic and have to do with the Saudi involvement in the Trump administration’s Mideast peace initiative. Politically Incorrect in Palestine (Amira Hass, Haaretz+) Why don't BDS activists and the Palestinian Agriculture Ministry remove from the shelves products made in the settlement Tekoa? The old agreement that will keep Iran away from Israeli border (Ron Ben-Yishai, Ynet) Why is the State of Israel disrupting the Syrian army’s efforts to defend Druze village of Hader, which Israel itself has vowed to protect? Because Syrians are building posts within the Golan Heights buffer zone in violation of 1974 Disengagement Agreement, which is seen today an important deterring and legal tool against Iran and Hezbollah. Making friends with the enemy (Yaakov Ahimeir, Israel Hayom) Israel fell in love with a bitter enemy 40 years ago when Egyptian President Anwar Sadat visited. The resulting cold peace leaves much to be desired, but Egypt is an important regional partner. Israel's ultra-Orthodox and Netanyahu vs. the public (Haaretz Editorial) Two recent legal moves demonstrate an ultra-Orthodox appetite that will never be satisfied and a prime minister who is prepared to do their bidding to assure his political survival. The free world is now divided into two camps, and Israel is following Trump's (Uri Savir, Maariv) For the United States, Trump may be a passing episode that will end in 2020. But for the citizens of Israel, the day is approaching when they will have to decide which part of the family of nations it will belong. Israeli army is losing too many talented, experienced senior officers (Amos Harel, Haaretz+) Israel's most serious security challenge will likely be in the north, where it will not only face veteran Iranian officers, but also a new generation of Hezbollah commanders. Auschwitz Responds: We Reject Accusations We Downplay Jews' Suffering Due to 'Nationalist Bias' (Bartosz Bartyzel, Haaretz+) We keep far away from political disputes: Our visitors are presented with the fate of all groups of Auschwitz victims – including, but not exclusively, Jews.